When talking about the process of building company website I mentioned choosing the proper CMS (Content Management System) and the importance of that choice. I promised to elaborate the subject. Personally I would suggest avoiding agencies that promise to build a CMS system tailored to a particular website. It took many years for the existing solutions to be developed so we shouldn’t be naive and believe that the CMS created during website implementation will be reliable, successful and easy to use. A dedicated back-end makes sense for complicated Internet portals or applications where the functions of standard CMS systems constitute only a small part of the whole solution. 1. Appearance – if the administrative panel doesn’t look good it means it must have been created by ordinary IT specialists only. Don’t expect high usability then. 2. User-friendliness – I believe this is a crucial feature. The main task of the CMS system is to enable a non-specialist to freely and quickly add and modify the content on the website. If we are unable to do anything in the CMS without reading the instruction manual within a few minutes after logging in it means that the CMS is not instinctive and should not be chosen. 3. Possibilities – usually the more functions a CMS has the more complicated it is to operate. We should not expect the panel to enable us to influence all elements on the website (layout, order of modules, etc.) because we would end up with a tool which can only be operated by an IT specialist. CMS should allow the user to manage the website structure easily (adding/canceling subpages at various levels of the navigation menu), edit the content on the subpages easily (text, formatting, graphics, download files), as well as to administer the specific functions (e.g. managing the recruitment process). 4. 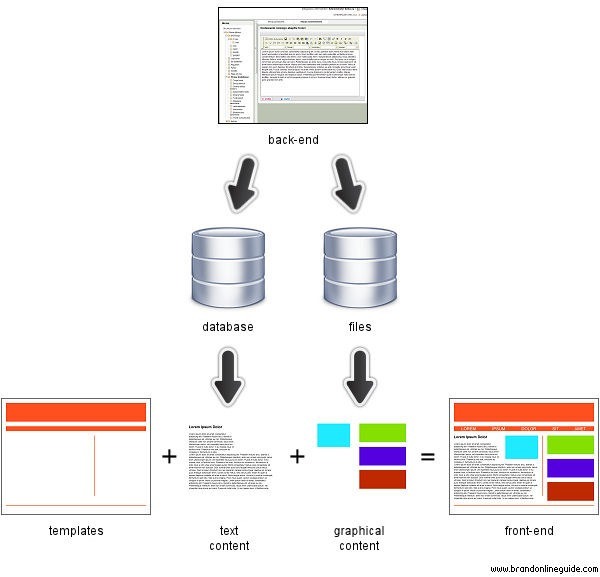 A good WYSIWYG editor – a CMS system should not require in-depth knowledge related to HTML/CSS. A WYSIWYG editor (What You See Is What You Get) enables the user to edit and format the content, insert hyperlinks, tables and graphics. Such an editor also consists of a tool kit and context menu and can be operated similarly to Microsoft Office programs. There are many solutions of this kind on the market, each one offering different possibilities. Personally I believe the best WYSIWYG editors are CKEditor (former FCKeditor) and TinyMCE. 5. Save and Undo – in a good CMS saving changes should not be equal to publishing the desired paragraph. The idea is to be able to review the modified version (or perhaps present it to a manager or supervisor) and publish it only after the changes have been approved. The “undo” option also proves to be very useful – and not only on the level of the editor itself (undoing the last few operations), but also on the level of the whole content, e.g. retrieving the previous version of a given paragraph. 6. Managing admins – managing the accounts of admins and their rights is also a very useful function. Even if there is no need to do so at a given moment (when only one person administers the whole website) we never know what the tomorrow might bring. 7. Help – regardless of the quality of training delivered by the interactive agency which designed the website, extensive help in the administrative panel is absolutely necessary. Apart from the “Help” menu there should also be a FAQ section and contextual help (hints appearing in bubbles in every entry box which is being modified at a given moment). What does a website consist of? What modifications can be done quickly and what need more time?